It is crystal clear with no odor and is made from ALL VEGETABLE OIL. And, since we don't use animal oils, our soap rinses clean and leaves no soapy film behind. All our soap bases are produced from the highest quality double distilled and deodorized clear coconut oil, forming luxurious lather and sparkling clarity. 100% GOATS MILK PURE SOAP BASE PREMIUM. This soap base is made from glycerin that has been extracted from pure oil. The glycerin is distilled and deodorized twice, for a bar of soap that can be scented to suit your personal tastes. Vitamin E, which is the skin’s best friend, is found in abundance. Aloe Vera Leaf Extracts. Superior color stability even if kept at a high temperature for extended periods. Neutral odor provides excellent fragrance lift. Vitamin E, which is the skin’s best friend, is found in abundance. Shea Butter. Ingredient List. Coconut Oil. Superior color stability even if kept at a high temperature for extended periods. Neutral odor provides excellent fragrance lift. Vitamin E, which is the skin’s best friend, is found in abundance. Do not leave the mixing spoon in the soap while heating. Just adjust the heat to keep the soap at a constant liquid point, but do not let the soap heat more than 10 minutes. Making your own soap has never been easier! Allow soap to cool at room temperature, and pop them out of the molds. We would like to be given the opportunity to resolve any issues that might arrive. Goats milk is naturally high in vitamins and minerals. Vitamin E, which is beneficial to the skin, is found in abundance in this soap. • Sodium Chloride. Soap Making Supplies. Cocoa Butter. • Goats Milk. (Kosher, of Vegetable Origin), Purified Water, Sodium Hydroxide (Saponifying. Oleate (Emulsifier), Oat Protein. About Our Soap Bases Our soap bases are. Ingredients: Pure Honey, Coconut Oil, Palm Oil, Safflower Oil, Glycerine. ). Vitamin E, which is the skin’s best friend, is found in abundance. Pure Hemp Oil. Ingredient List. Superior color stability even if kept at a high temperature for extended periods. Neutral odor provides excellent fragrance lift. (Kosher, of Vegetable Origin), Purified Water, Sodium Hydroxide (Saponifying. Ingredients: Aloe Vera Gel, Coconut Oil, Palm Oil, Safflower Oil, Glycerine. Oleate (Emulsifier), Oat Protein. About Our Soap Bases Our soap bases are. ). Goat’s milk is prized for its remarkable skin care properties. Purified Water, Glycerin, Sodium Stearate, Sorbitol, Goat's Milk, Propylene Glycol, Sodium Laureth Sulphate (SLES), Stearic Acid, Lauric Acid, Sodium Chloride. Super easy & fun for both adults & kids. 100% Pure, Glycerin Soap. Size:10 LBs. Gluten Free. Paraben Free. No Alcohol. No Sulfates (SLS). Vitamin E, which is the skin’s best friend, is found in abundance. Coconut Oil. Ingredient List. Superior color stability even if kept at a high temperature for extended periods. Neutral odor provides excellent fragrance lift. (Kosher, of Vegetable Origin), Purified Water, Sodium Hydroxide (Saponifying. Ingredients: Goat's Milk, Coconut Oil, Palm Oil, Safflower Oil, Glycerine. our soap bases are made in the United States with all natural, authentic, and. ). 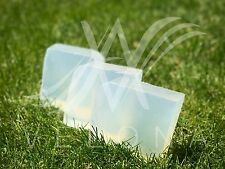 This soap base is made from glycerin that has been extracted from pure oil. The glycerin is distilled and deodorized twice, for a bar of soap that can be scented to suit your personal tastes. This goat’s milk soap base is also free of surfactants and is alcohol free. 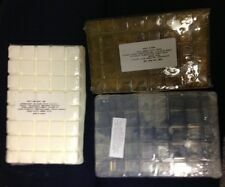 Bulk Melt and Pour Goats Milk Soap Base 1 Pound 4 oz. Goats milk is naturally high in vitamins and minerals. The high Vitamin E content also makes for better skin. • 100% Vegetable base. 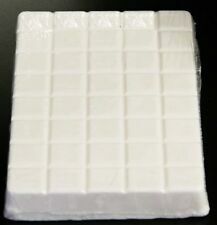 5 out of 5 stars - Bulk Melt and Pour Goats Milk Soap Base 1 Pound 4 oz. 4 product ratings4 product ratings - Bulk Melt and Pour Goats Milk Soap Base 1 Pound 4 oz. Vitamin E, which is the skin’s best friend, is found in abundance. Ingredient List. Superior color stability even if kept at a high temperature for extended periods. Neutral odor provides excellent fragrance lift.